Sentosa is a resort island which is away from 500 hectares off the south coast of Singapore. First, it was a fishing village. During that time it was occupied with military weaponry. Sentosa was a prisoner-of-war camp during the Japanese Occupation (1942-1945). It turned to resorts in the 1970s. This encompasses with theme parks, a casino, hotels, and residences now. The name Sentosa is from the Malay language which means peace and tranquility. The old name of this island was â€œPulau Blakang Matiâ€ means â€œâ€˜Island of death from behindâ€ in English. In 1972 the island had owned its present name of Sentosa. More than Singapore $420 million of private funding and the Government money had gone towards the development of the excellent tourist spot Sentosa Island. Sentosa Island is famous for the huge Resorts World. This place contains many things to do and see. The Island got the name â€œSentosaâ€ in 1972 after the Singapore Government decided to develop this island into a holiday resort and entertaining place for local visitors and Sentosa Island Tourists. The island owns the pride of conducting ZoukOut, Asiaâ€™s the biggest musical dance festivals in its Siloso Beach and Zouk (club) Singapore organizes the festival. Singapore Siloso Beach Countdown Party is hosted by the Sentosa Island’s Siloso Beach. This party starts at 6.00 PM of December 31st. And it lasts until 6.00 AM of January 1st of New Year. 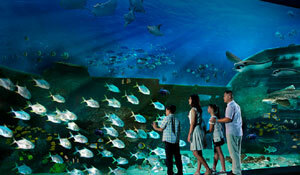 The S.E.A Aquarium at Resorts World Sentosa is the biggest oceanarium on the plant. There are 1, 00,000 sea creatures from 800 species dwell in 45 million liters of water. It is the world largest viewing panel. It stands at 36m wide and 8.3 m height. Sentosa is full of wildlife. Around 70% of its land covered by secondary rainforest. It is a home to peacocks, monkeys, lizards etc., The butterfly park contains 15,000 kinds of butterflies. Over 3000 species of insects live here. A team of cleaning professionals took 10 days to clean up the Merlionâ€™s 37-meter tall status in 2012. Sentosa Island in just 5 Sq. Kilometers in size. This has been the fourth largest Island in size in the Singapore. Tourists can even walk to the island from the main island via the Sentosa Walkway. There are many travel ways around Sentosa Island and the main island of Singapore. The core travels are Sentosa Express Monorail, Sentosa Walkway, and Bus services. There is a light and sound show on Sentosa Island. It holds the title of â€˜the largest show animatronics show in the worldâ€™. 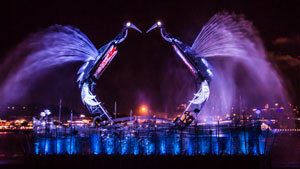 Two steel cranes of about 30 meters tall move through a water jet to a kaleidoscope of color and emotive soundtrack music. This 10-minute visual show is conducted on every evening at 8.00 PM. The show is held in an open air amphitheater with free of cost. There is no age restriction for the show. This place is just a few minutesâ€™ walk from Waterfront MRT Station. There are plenty of drink and food stalls near the amphitheater. 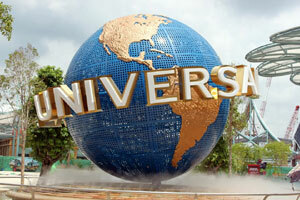 In the latest Singaporeâ€™s attraction list Universal Studios Singapore has been added. This studio has seven sections with countless shows. All movies from the studio are major hits. The parkâ€™s seven sections are Sci-Fi City, New York City, Egypt, The Lost World and the Hollywood. This is the first theme park in Southeast Asia by Universal Studios Singapore. It sprawls on 24 hectares of land. Out of six hotels totally 1800 rooms are available for accommodation. The park contributes a part of the US$4.5 billion Resorts World Sentosa Development. It is the worldâ€™s largest Aquarium. Full of marine life is displayed here attractively. The marine animals and species are delighting. The S.E.A. Aquarium is an awesome tourist spot. It is to be prioritized in your Sentosa Island Tourism Visit. Hammerhead sharks, bottlenose dolphins, colorful fish, rays, and shark are amazing looks in the blue planet. The Aquarium is open from 10.00 AM to 7.00 PM daily. The last admission is 30 minutes before closing time. This is an integrated resort located on Sentosa Island. This would be the tourist first attraction soon after one lands up in Singapore. It is the home of hotels, restaurants, food courts, Trick Eye Museum, shops, and the biggest attractions are Adventure Cove Water Park, SEA Aquarium, Dolphin Island and Universal studios. Din Tai Fung restaurantâ€™s Taiwanese dumpling chain is a more popular snack. You could enjoy shows, concert and free light shows in the evening time. It is a great looking water park with water slides, kid water play areas, water-based obstacle course, waterslides and a river to tube around. There is also Dolphin Island Marine Life Park within its boundaries. The visitors can wade with stingrays or play with dolphins. This place is with a lot of fun. This would be the perfect picnic spot for families and kids. A big tree house for kids play and a toddler pool are available at the water park. 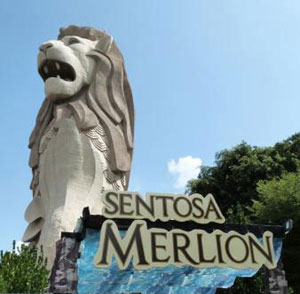 The Sentosa Merlion is about 37 meters tall. It is believed to shield the prosperity of Singapore. Here the tourists can collect prosperity coins, ring a prosperity bell and look out Singapore from the Merlionâ€™s mouth. The Singapore weather will not have a big change and the Sentosa Island tourism would be good round-the-year. Most of the South Asian schools remain closed during June to July, November to December. Hence, most of the people arrange for a family picnic trip at that time. Rain would be expected throughout the year in this Island. There are plenty of lodges, hotels, restaurants, star and budgetary hotels available in and around Sentosa Island. Sunbath and Spa treatment are famous here. Expensive 5- star luxurious hotels and resorts are popular in Sentosa Island. Cheaper accommodation is also available in the island on a hill overlooking Siloso beach. Costa Sands Resort has a number of cottages and 15 kampung-like huts are available on a limited budget. It has been an exciting picnic place. Plan your trip to such a jaw-dropping and rejuvenating island.